Climate, elevation: Can survive very cold winters with annual averages as low as -30 degrees Farhenheit. Prefers full sun on well drained, rocky soil. USDA zones 04a-10b. Habitat preferences: Full sun, such as roadsides and open banks. Requires well-drained but moist soil whether sandy, loamy or clayey. Plant strategy type/successional stage (stress-tolerator, competitor, weedy/colonizer, seral, late successional): Nitrogen-fixing pioneer species. Associated species: In mountain-heath dwarf shrub communities of the Alpine Tundra, other species include mertens cassiope (Cassiope mertensiana), starry cassiope (C. stelleriana), luetkea (Luetkea pectinata), bog blueberry (Vaccinium uliginosum), dwarf blueberry (V. caespitosum), Sitka valerian (Valeriana sitchensis), and roseroot (Sedum rosea). 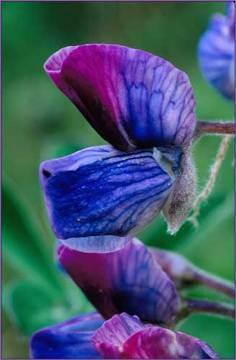 May be collected as: (seed, layered, divisions, etc. ): Seed, division in early March (difficult), or basal cuttings in April. Seed is preferred form. Collection restrictions or guidelines: Blooms in mid summer, and late summer/early fall. Allow pods to become dry on the plant and break them open to collect seed. If performing basal cuttings, harvest the shoots when they are 10cm long. Pot them into individual pots in a cold frame or greenhouse with light shade until well-rooted. Plant basal cuttings outside in the summer. Seed germination (needs dormancy breaking? ): If not directly seeding, pre-soak seeds for 24 hours in warm water bath and sow in early spring in a greenhouse. When they are large enough to handle, plant seedlings in individual pots and plant out in early summer. Propagation recommendations (plant seeds, vegetative parts, cuttings, etc. ): When planting with seed, sow directly outside in the fall or stratify before sowing indoors. Seeds must be scarified before sowing. Sow seeds 2 cm to maximize germination rates. Soil or medium requirements (inoculum necessary? ): Requires mildly acidic soils with a pH around 6.1 to 6.5. Associated with certain soil bacteria that may be introduced to the soil medium to increase chances of success. Installation form (form, potential for successful outcomes, cost): Seeds are the best form to use and they are easy and free to collect. Care requirements after installed (water weekly, water once etc. ): May need to be protected from herbivory by mice and slugs. Does not tolerate drought and may need supplemental water until established. Normal rate of growth or spread; lifespan: Overall spreading herbaceous perennial living 3-10 years. Reaches 3 inches to 1 foot in height. Dave’s Garden. 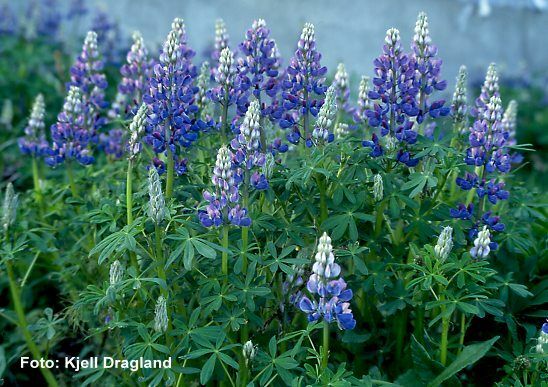 Detailed information on Nootka Lupine (Lupinus nootkatensis). Date accessed: 9 May 2006. <http://davesgarden.com/pf/go/51569///>. Plants For a Future: Edible, medicinal and useful plants for a healthier world. Lupinus nootkatensis – Donn. ex Sims. Date accessed: 9 May 2006. <http://www.pfaf.org/database/plants.php?Lupinus+nootkatensis>. United States Department of Agriculture: Natural Resources Conservation Service. PLANTS Profile: Lupinus nootkatensis Donn ex Sims var. nootkatensis Nootka lupine. Date accessed: 9 May 2006. <http://plants.usda.gov/java/profile?symbol=LUNON>. Appendix 5.2 Tundra Habitats. Featured Species-associated Tundra Habitats: Arctic, Alpine and Maritime Tundra. Date accessed: 9 May 2006. <http://www.sf.adfg.state.ak.us/statewide/ngplan/files/appendix5.2tundra_habitats.pdf>. Crescent Bloom. Lupinus nootkatensis. Date accessed: 9 May 2006. <http://www.crescentbloom.com/Plants/Specimen/LU/Lupinus%20nootkatensis.htm>. Parker, Reny. Wildflowers: A Closer Look. Lupinus nootkatensis: Nootka Lupine. Date accessed: 9 May 2006. <http://www.renyswildflowers.com/20691.html>. Stauder, L.. Photo by Kjell Dragland. Date accessed: 9 May 2006. <http://www.stewo.no/L/Lupinus%20nootkatensis%20KD.jpg>.